Warner Bros' Westworld mobile game, which bore a notable resemblance to Bethesda Softworks' Fallout Shelter game for smartphones, has been removed from the iOS App Store and Google Play Store. 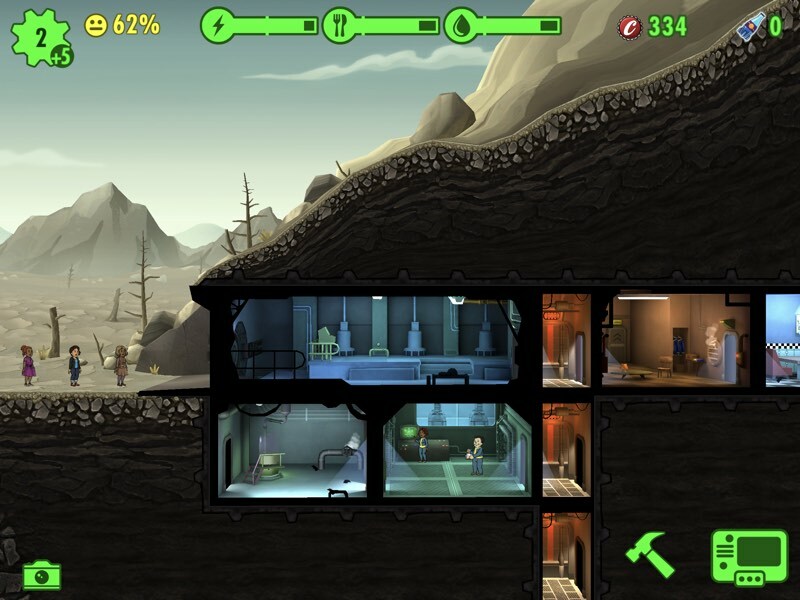 The removal comes seven months after Bethesda sued Warner Bros by calling the Westworld app a "blatant rip-off" of Bethesda's 2015 game Fallout Shelter. The lawsuit centered around Behaviour Interactive, the game developer that worked on both Fallout Shelter and Westworld, and who Bethesda accused of breach of contract, copyright infringement, unfair competition, and misappropriation of trade secrets. The dispute continued into the year, and in early January 2019 the companies released a simple one-line statement that said both parties "have amicably resolved" the lawsuit. 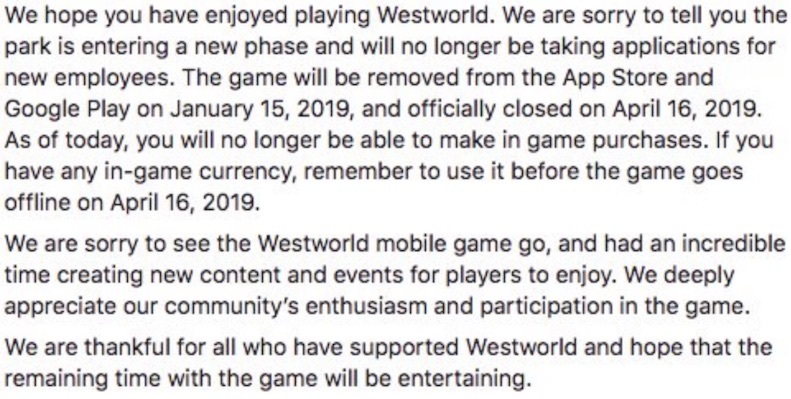 After all of this, the @WestworldMobile Twitter account this week released its own statement, noting that the game has been removed from the iOS App Store and Google Play Store as of January 15, 2019. This means players can no longer make in-app purchases. On April 16, 2019, the app will officially close and no longer be supported by the developers. The developers warn players to spend any in-game currency before that date. In the original lawsuit, Bethesda requested the Westworld mobile game to be removed from distribution, so it appears that part of the amicable resolution to the case was the official discontinuation of Westworld on iOS and Android. Users on Twitter asked about potential refunds for the in-app purchases they've already made in the game, but the company has yet to respond regarding this matter. 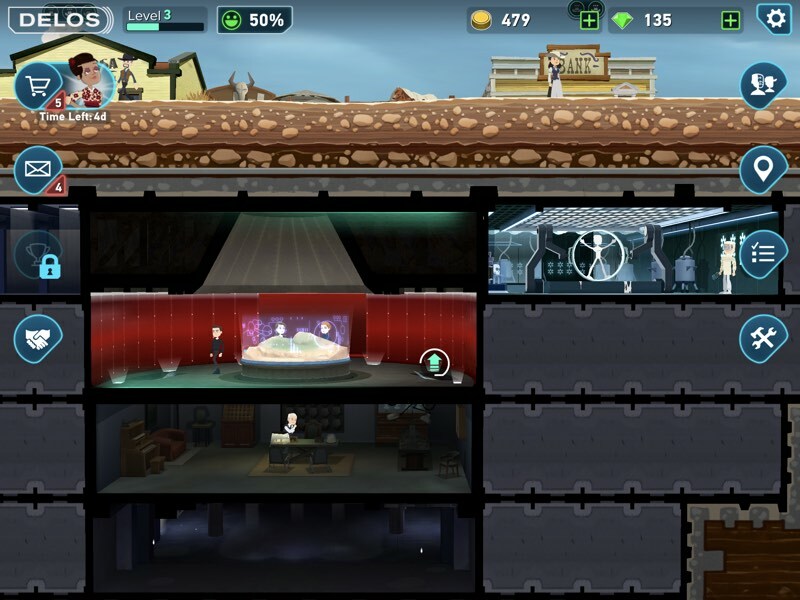 For those unaware, the similarities between Fallout Shelter and Westworld were striking. Both games task the player with building an underground base of some kind, stocked with interactive characters from a well-known property, and micro-managing small tasks to keep their shelter/Delos facility up and running. Most damning for Westworld and Behaviour Interactive was the discovery that the developer appeared to use the same copyrighted computer code from Fallout Shelter inside of Westworld, down to both games having the same unique bug. Although Westworld has been removed from the iOS App Store, it still remains online for now, so players who already downloaded it have three months to play the game while it remains online through April 16. I really think this is one of the biggest problems with mobile gaming, digital media, and gaming on the iOS. A game can just be lost forever. I play a lot of retro games, but for many iOS titles, that just won’t be possible. I can play my old Atari 2600 or 5200 games, my old NES, SNES, N64, GC, and GB games. If there was one I wanted to play , but don’t currently own, chances are I can find it online somewhere. But, the user has little control over the fate of digital media, and once games are no longer available on the App Store, they are just gone and eventually forgotten. I just find it a little sad. That "iPhone" doesn't have a notch. iPhone screenshots are always full rectangles - the rounded corners and notched part are filled in. Apple's developer guides explicitly tell developers to treat the drawable area as a full rectangle and to not avoid drawing in the corners or notches just because current devices have those features. That allows Apple to change the curvature of the corners or adjust the notch dimensions and not worry about apps not drawing in those spaces appropriately. At the same time, obviously developers should be mindful of those features and not put important information or require the user to touch those areas. No, the article originally showed a phone, captioned "Westworld on iOS", without a notch (see my updated first post for the image). They've updated the article to change the image, but didn't note that they did so as journalists normally do. Thanks for dev-splaining to a developer though. Thanks for being so pedantic about a screenshot. Not a waste of everyone's time at all. [doublepost=1547661908][/doublepost]The headline really should be "Shady game developer tries to sell the same game twice." I wonder how Zynga got away with all their game thievery back in the day. I wonder how much money I have wasted on apps that no longer are listed, or are just gone from the App Store. It kinda pisses me off. The scourge of online games; they decide when you can play and when you can‘t. Edit: Okay, MacRumors decided to edit their article and remove the un-notched device for some reason. I assume it was an android device or just bad photoshop. But trust me, there was a notchless phone there and you all missed it. I have my iPhone 3GS with all the games I used to play on it. Two of the games I have are Tap Tap Revenge 2 & 3 installed on it. I play these games every once in a while. Tapulous the company behind the games shut down their servers about 6 or 7 years ago so no one have been able to install them since then even though they are still in the purchased tab and can be downloaded on iOS 11 or prior. The games have to contact the server the first time they are launched. So I could not get them to work even on my iPhone 5 with 32-bit support. If anything happens to my iPhone 3GS and I can not reinstall these apps with the same data then I will loose the Tap Tap games forever and I will never be able to relive the memory of playing them again.